Kathmandu Chitwan Pokhara Tour is complete package for exploring of the Kathmandu city, Chitwan National park, Pokhara city as well as Sarangkot Hill station tour in Nepal. 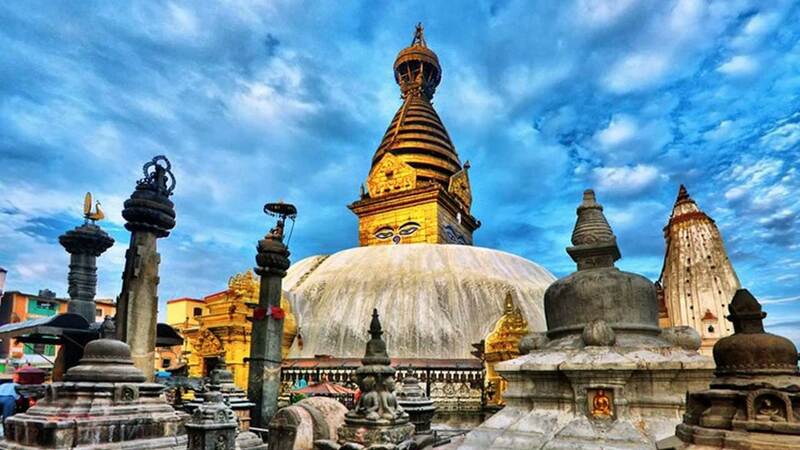 Tour starts at Kathmandu, which is very popular tourist destination all over the world. 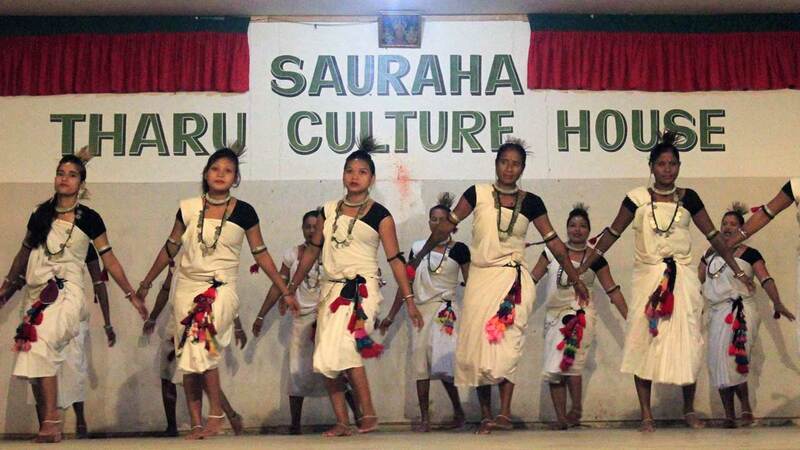 The tour gives a handful of opportunity of exploring historical-cultural city, which is the capital city of Nepal. The city is in Kathmandu valley is combined of three districts, Kathmandu Bhaktapur and Lalitpur consisting three classical cities Kathmandu (Kantipur), Bhaktapur and Patan. These cities have sacred temples, Stupas, wooden carved structures, and graceful palaces with stone paved roads. The city is sacred for Buddhists and Hindus equally for religious tours too. Visit Chitwan National Park is the attraction of Kathmandu Chitwan Pokhara tour with inclusive of adventures of Elephant Safari, Jungle Safari to observe wildlife like Tiger and rhino, Boating in Narayani River to observe crocodile, Bird-watching, Visiting Elephant Breeding Center, Tharu Village Tour including cultural dance of Tharu, Sunset View tour, Museum Visit and other subsided experiences in Chitwan area. Chitwan visit is full of exciting adventures and Kathmandu stay is perfect for cultural insight and historical observation. Kathmandu Chitwan Pokhara tour 8 days offers the visitors to enjoy natural beauty of Pokhara city which is the most popular tourist destination of Nepal. 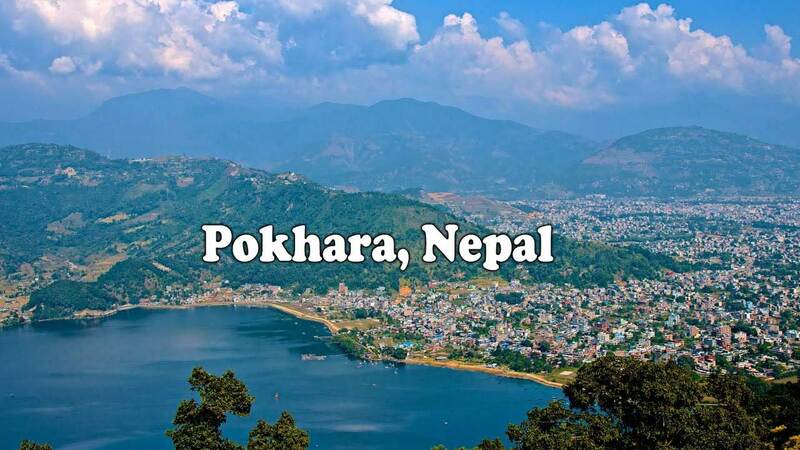 Pokhara tour is an opportunity to have unforgettable time enjoying boating in Fewa Lake, fishing in Begnas Lake, observing a number of caves like Mahendra Cave, Mahadev Cave and Chamere (Bat) Cave etc. If you want to change your program for Nepal tour please find the option packages so that you can chose best tour program as per your interest instant of Kathmandu Chitwan Pokhara tour into Kathmandu-Pokhara Tour, Kathmandu-Chitwan Tour or Kathmandu city tour. Meeting and assistance on arrival and transfer directly for Nagarkot enroute visiting Bhaktapur. Bhaktapur, one of the three major towns of the Kathmandu Valley. Bhaktapur means "the city of devotees" in the Sanskrit language. It is also known as Bhadgaon. The palace complex in the middle of the city portrays the prosperity of the Malla years and the details at which the crafts- people then worked. The palace of fifty-five windows stands in the square and it was home to many kings of Bhaktapur.It is perhaps the most popular of the three Newar towns of the Kathmandu Valley. Overnight at the hotel. Morning depart for Dhulikhel and on arrival check in at hotel. Dhulikhel is a small township, 30 kms from Kathmandu, along the Chinese-built road which leads to the border. It is at an altitude of 6000 ft and offers superb views of Cho Oyu in the east to Himalchuli in the west. The little town exudes great charm in the bare-brick houses, carved wooden windows, sloping tile-roofs, pagoda-temples and sacred statues everywhere. Lot of temples dot the town and the skyline. Many vantage points offer a panorama of the Himalayan Mountains. Besides bird watching, hiking and mountain biking are some of the activities that can be undertaken here, Overnight at the hotel. 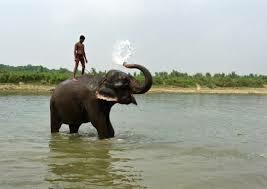 Chitwan-A day full of jungle activities. Among the 14 national parks and wildlife reserves in the Kingdom, the Royal Chitwan Park is the most popular safari destination. More than 43 species of animals are found in Chitwan.The endangered one-horned rhino, Royal Bengal tiger, Gharial crocodile, four-horned antelope, striped hyena & the Gangetic dolphin are the main attractions. 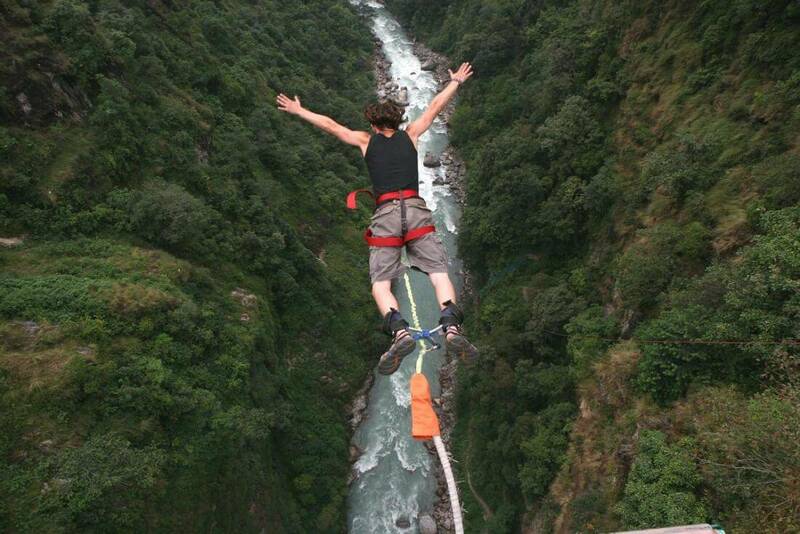 Many adventurers also choose to go down to Chitwan by raft. A jungle safari is an experience you will remember for a long time. Overnight at the hotel. Morning depart for Pokhara and on arrival check in at hotel. Later sightseeing of Devis fall and lake Phewa.Locally known as the Patale Chhango (Hell's Fall). Devi's fall is a lovely waterfall lying about 2 km southwest of the Pokhara airport. Phewa Lake, the second largest lake in the Kingdom, is the center of all attraction in Pokhara.Here, one can sail or row a hired boat across across to the water or visit the island temple in its middle. Overnight at the hotel. Morning city tour visiting the Durbar Square, Hanuman Dhoka, the ancient royal residential quarter, Mahadev and Parvati Temple, Machhender Bahl-holy place for the Buddhists and Hindus, Temple House of Kumari, the vestal virgin or the living goddess. Walk around the local bazaars. 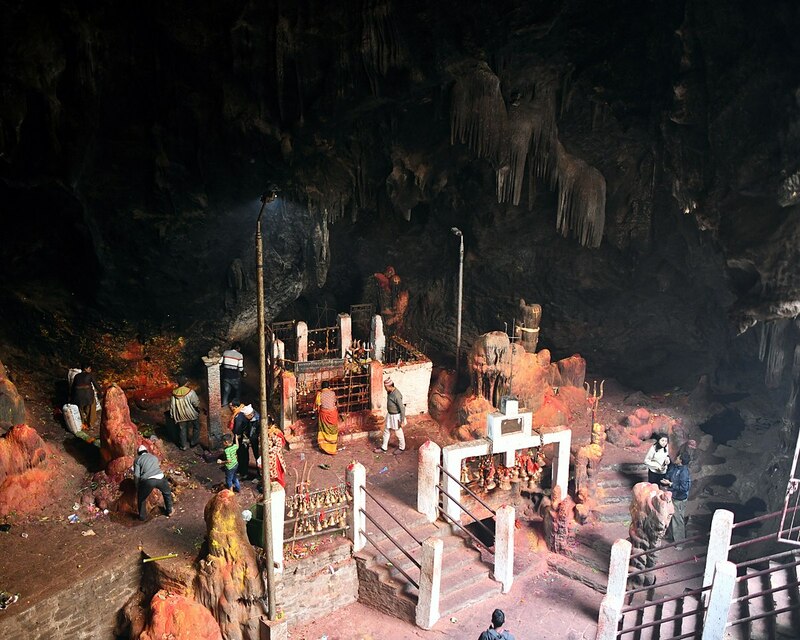 Also visit Swayambunath, a 2500-year old site where, it is believed, the Radiant Lotus of the valley-mythology, settled when the water was drained by Manjushri, the god of Wisdom. The 5 dhyani Buddha's attended by their consorts are enshrined at the base of the stupa. (Non-Hindus are not allowed inside Swayambhunath temple). Afternoon visit to Patan. 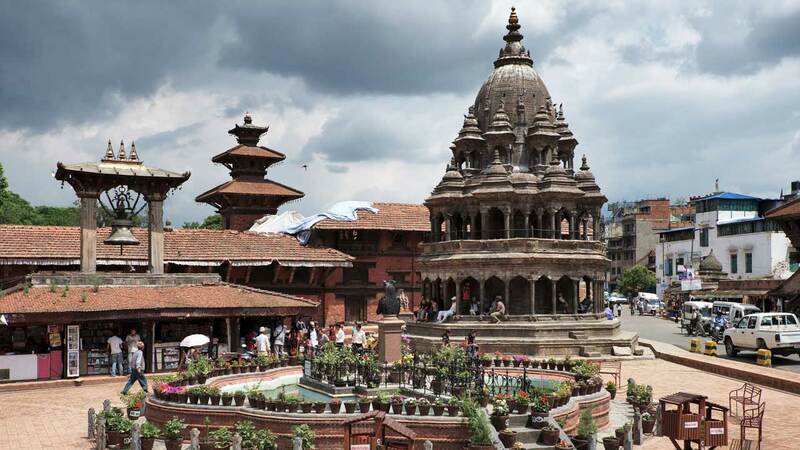 In Patan visit the old Newar City, the historic Durbar Square, the Golden Gate, the sky piercing temple of Teleju and the statue of Yogendra Malla, other temples, old carved windows and balconies of wood, curio shops and bazaars. Overnight at the hotel. End of our services with departure transfer to the airport to board flight for your onward destination.